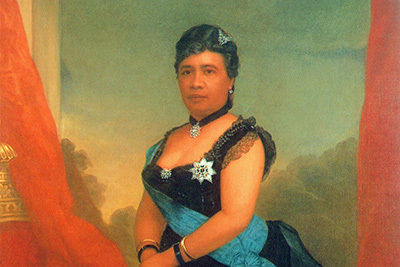 Iolani Palace represents a time in Hawaiian history when King Kalakaua and his sister and successor, Queen Liliuokalani, walked the halls and ruled the Kingdom of Hawaii. The Palace halls contain beautiful memories of grand balls and hula performances, as well as painful ones of Liliuokalani’s imprisonment and eventual overthrow. Since the overthrow of the Hawaiian Monarchy, the Palace has undergone many changes as it once served as the Capitol for almost 80 years and was later vacated and restored to its original grandeur in the 1970s. The cornerstone for Iolani Palace was laid on December 31, 1879 with full Masonic rites and completed in 1882. The Palace was the official residence of the Hawaiian monarchs, where they held official functions, received dignitaries and luminaries from around the world, and entertained often and lavishly. 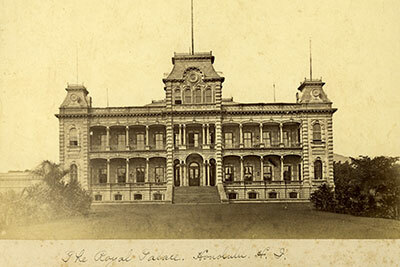 Following the overthrow of the monarchy, Iolani Palace became the government headquarters for the Provisional Government. Following the overthrow, many of the palace’s original furnishings were sold at public auction and personal belongings were returned to the royal family. 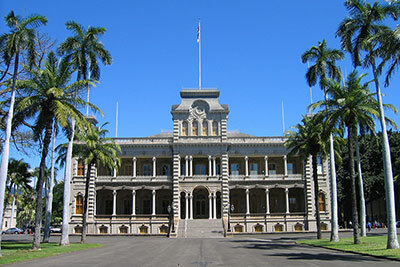 In the decades that followed, it was also served as the government capitol building for the Republic, Territory, and eventually, State of Hawaii.